Get a curated list of articles and blog posts that will inspire, guide, and help you succeed as an entrepreneur. Be introduced to facinating startups you should know and learn from, plus get recommendations for startup events. There are so many great tools out there that will make your job much, much easier. I'll show you which. Get a convenient digest of the best startup content every Friday. Stay ahead of the curve without any effort. In the end it is completely up to you, but why not give it a shot? There's no spam and you can always unsubscribe later. 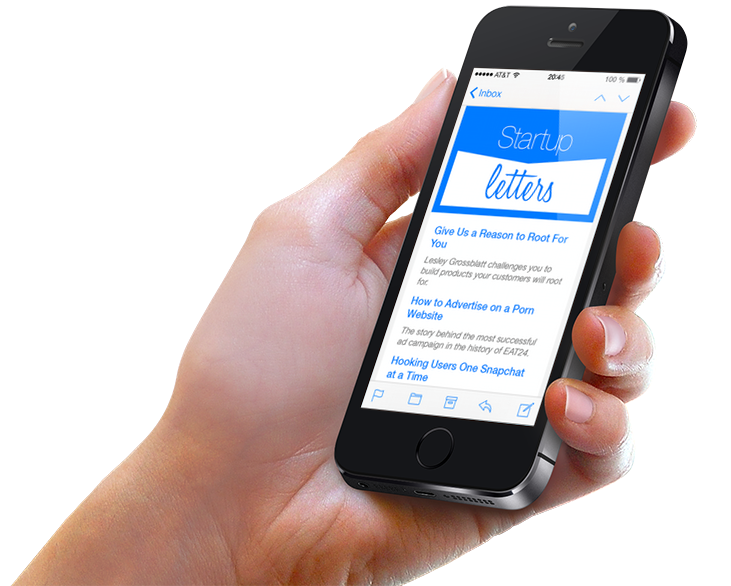 NOTE: Startup Letters is no longer being published! Newsletter archive. Blog. Submit article. Community.